We have an I.S.T.D. official uniform. This can only be bought from the school. 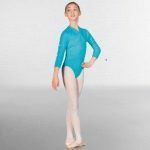 Please contact us for prices and how to buy the school dance uniform on 07765 836796 or click here to send us an order enquiry.